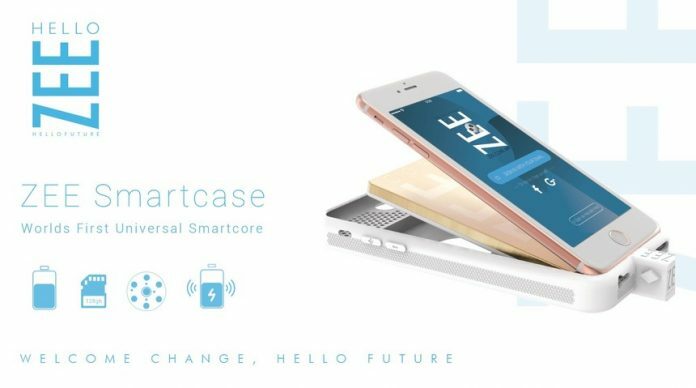 If you always find your smartphone is running out of battery during the day and might benefit from a little bit of extra storage, then maybe you might be interested in Hello ZEE’s new smartcase called the ZEE Smart Core which was unveiled at CES 2017. The ZEE Smart Core works with iPhones/iPads but also with Android phones and tablets and GoPro cameras and any other devices featuring a USB, miroUSB or lightning port. The Smart Core bundles a 2,600 mAh smart battery and offers wireless charging, microUSB charging capabilities, up to 128GB of extra internal memory and an additional LED light to help users take qualitative photos and videos regardless of lightning conditions. The Smart Core pairs with the ZEE Core app to offer users a customized experience. For example, customers can set for how long their phone should charge or create a personalize LED light show. The app can detect when the mobile device paired to it is running low on juice and initiate charging automatically. For those who prefer wireless charging, the Smart Core also offers this option via a built-in module. 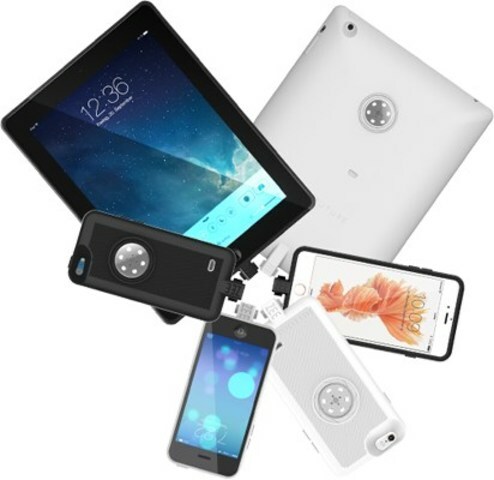 Just place your phone/tablet on any QI charge pad to get things going. A dual use microUSB charging port is also available for traditional charging. The Smart Core also doubles as a portable storage device. You can get it in 32GB in Gun Metal, 64GB in Silver or 128GB in Gold. Using the ZEE Core app users can easily manage transferred files across many platforms. Perhaps Smart Core’s most enjoyable feature is the ZEE LED Light which is fully programmable via the ZEE Core app. The 5600 Lumen LED Light build from 6X 2W Smart LED diodes can flash in multiple ways, even to the beat of music via Party Mode. 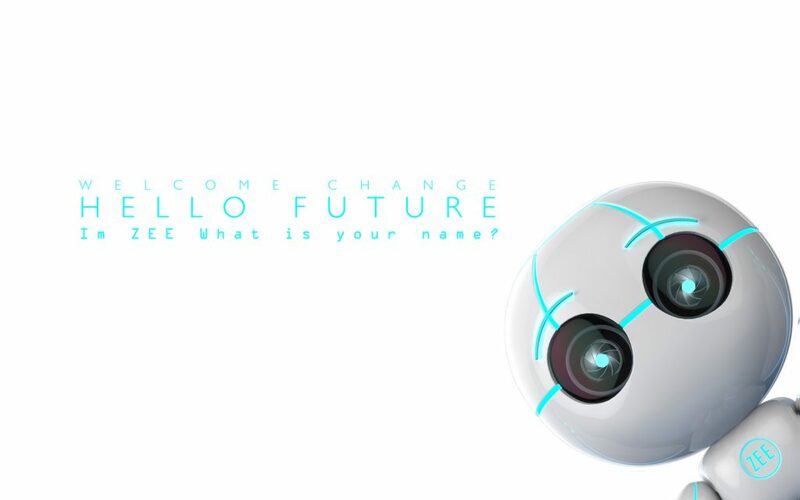 Hello ZEE officially launched the line yesterday, but a quick look at their website reveals the accessory producer had a Kickstarter campaign running for the Smart Core which is now canceled. 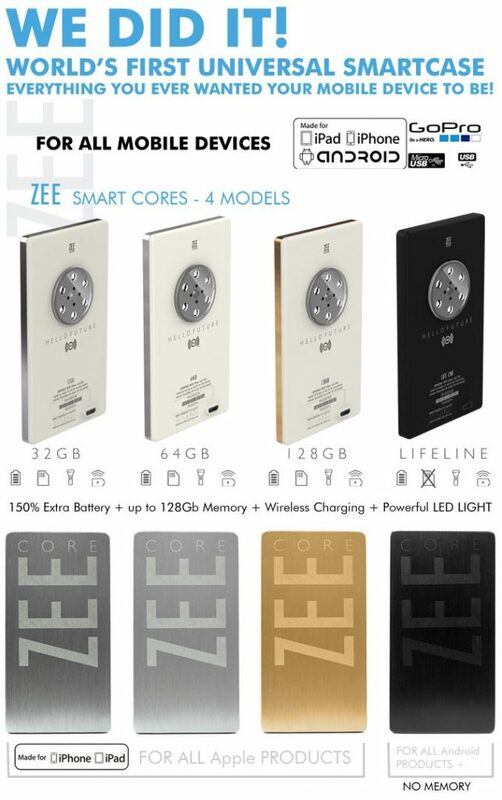 A pledge of $100 would have gotten users a ZEE Smart Core 32GB + ZEE Cover (only for iPhone/iPad), T-Shirt and Personalized Thank You Letter and ZEE Sticker. The estimated delivery dates for all bundles is listed September 16, so we don’t really have an eye when the ZEE Smart Core will ship out. The Hello ZEE website mentions that if you sign-up with your email, you’ll get the opportunity to win a free Smart Core case.